Affiliated Faculty | Nau Center for Civil War History, U.Va. Michael T. Caires is a Lecturer in Corcoran Department of History at the University of Virginia. He is interested in the intersections between the history of the American Civil War and the History of American Capitalism. He is currently at work on a book about the growth of the federal government’s power over money and banks during the war and Reconstruction, entitled The Greenback Union: The Transformation of Money, Capitalism, and the State in the American Civil War. He received his Ph.D. from the University of Virginia and his B.A. and M.A. from San Francisco State University. 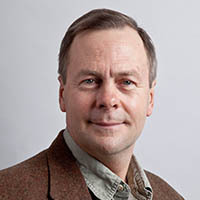 Stephen Cushman is Robert C. Taylor Professor of English. The author of Bloody Promenade: Reflections on a Civil War Battle (University Press of Virginia, 1999) and Belligerent Muse: Five Northern Writers and How They Shaped Our Understanding of the Civil War (University of North Carolina Press, 2014), as well as recent essays about Alexander Gardner’s photography at Gettysburg (in Lens of War, ed. J. Matthew Gallman and Gary W. Gallagher [University of North Carolina Press, 2015]); the Battle of the Crater in fiction (in Cold Harbor to the Crater, ed. Gary W. Gallagher and Caroline E. Janney [University of North Carolina Press, 2015]); and Joseph E. Johnston (Essential Civil War Curriculum, an online project of the Civil War Center at Virginia Tech). He has also published essays about Ambrose Bierce, Joshua Lawrence Chamberlain, Abraham Lincoln, and Walt Whitman. Cushman’s current projects include discussions of Philip Sheridan’s memoirs; Joseph E. Johnston’s surrender to William T. Sherman; and Richard Taylor’s book Destruction and Reconstruction. In addition, he is the author of six volumes of poems and two critical studies of American poetry, and he is the general editor of the Princeton Encyclopedia of Poetry and Poetics. A frequent speaker at Civil War conferences at Gettysburg College and the Huntington Library, he has enjoyed teaching with Gary Gallagher a Civil War seminar for advanced undergraduates at the University of Virginia. Cushman was named Cavalier Distinguished Professor for 2014-16, and he won a State Council of Higher Education for Virginia Outstand Faculty Award in 2015. Corinne Field is an Assistant Professor in the Department of Women, Gender & Sexuality and a lecturer in History at the University of Virginia. She is the author of The Struggle for Equal Adulthood: Gender, Race, Age, and the Fight for Citizenship in Antebellum America (University of North Carolina Press, 2014) and co-editor of Age in America: Colonial Era to the Present (New York University Press, 2015). Her current research investigates the history of generational conflict within Anglo-American feminism from the 1870s to the 1930s, focusing in particular on the deep connections between age prejudice and racial prejudice in arguments for women's empowerment. She is the co-organizer of the Global History of Black Girlhood Conference to be held at UVA, March 17-18, 2017. George H. Gilliam is a Lecturer in History at the University of Virginia’s College of Arts and Sciences. His focus is on the political economy of the American South during the nineteenth century. He holds degrees from Columbia University (B.S., 1965), and the University of Virginia (J.D., 1968; M.A. [History]; 1997, Ph.D. [History], 2013). Before returning to the academy to study and teach history in the 1990s he practiced law in Charlottesville, Virginia, and was active in business as well as public and political affairs. He served on the Charlottesville City Council, two terms as Chairman of the State Board for Community Colleges, and as the first chairman of the Virginia Pesticide Control Board. 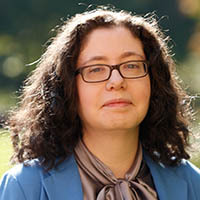 Lisa Goff is an Assistant Professor with a joint appointment in English and American Studies at the University of Virginia. A cultural historian who studies the American landscape, she teaches classes in cultural landscapes, public history, theories and methods of American Studies, the history of journalism, and gender and social media. She recently launched a new digital history project, Take Back the Archive, dedicated to the history of sexual violence at the university. She is also director of the Institute for Public History, which places students in paid internships at museums, archives, and historic sites in central Virginia. Her first book, Shantytown, USA: Forgotten Landscapes of the Working Poor, will be published in April 2016 by Harvard University Press. The book argues that shantytowns constitute an alternative vision of American urban space between 1820 and 1940, and that conflicts over shantytowns as places and symbols of working-poor culture were an essential element in the formation of twentieth-century class difference in the United States. She is currently working on a second book project, which examines restoration as a theoretical concept and a practical application that spans disciplines, geographies, and centuries. 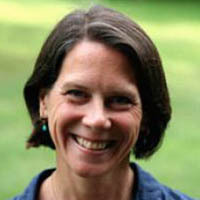 Grace Elizabeth Hale is the Commonwealth Professor of American Studies and Professor of History at the University of Virginia where she teaches courses in US cultural history, the history of the US South, documentary studies, and sound studies. She is the author of Making Whiteness: The Culture of Segregation in the South, 1890-1940 (Vintage, 1999) and The Romance of the Outsider: How Middle Class Whites Fell in Love with Rebellion in Postwar America (Oxford University Press, 2011). She is currently working on two book projects. Cool Town: Athens, Georgia and the Promise of Alternative Culture in Reagan’s America (forthcoming in 2015) uses the Athens, Georgia music scene to examine the fate of alternative culture in the 1970s and 1980s. Participatory Documentary: Representing Politics in a US Region examines documentary audio recordings, photographs, and films made in and about the rural US South from the 1920s to 1980s and the relationship between documentary practices, aesthetics, and political and social movements. Hale has written for The New York Times, the Washington Post, CNN, the American Scholar, the American Historical Review, the Journal of American History, the Journal of Southern History, Southern Cultures, Southern Exposure, and Southern Spaces. She is the editor of the new University of North Carolina Press series Studies in US Culture, and a member of the editorial board of Southern Spaces: A Journal of the South. She has held fellowships from the Mellon Foundation, the Gilder Lehrman Center, the Smithsonian Institution’s National Museum of American History, the National Humanities Center, Virginia Foundation for the Humanities, and the Institute for Historical Studies at the University of Texas at Austin. She served as a Fulbright Distinguished Lecturer at Erfurt University in Erfurt, Germany and as the Japanese American Studies Association-Organization of American Historians visiting scholar in Japan in 2014. Justene G. Hill is a scholar of African-American history who specializes in the history of slavery in the United States. She received her Ph.D. from Princeton University, an M.A. in African New World Studies from Florida International University, and a B.A. in Spanish from Swarthmore College. Her current book manuscript, tentatively titled Black Markets: The Slaves’ Economy and Plantation Capitalism in South Carolina interrogates the ways in which enslaved peoples’ independent economies influenced the plantation economy in South Carolina between the late eighteenth and mid-nineteenth centuries. She has received a number of fellowships and grants, including the Consortium Dissertation Fellowship at the McNeil Center for Early American Studies at the University of Pennsylvania and the Princeton University Writing Program’s Quin Morton Teaching Fellowship. 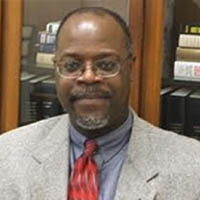 Ervin L. Jordan Jr. is an Associate Professor and Research Archivist at UVA’s Albert and Shirley Small Special Collections Library. He specializes in Civil War and African-American history, and is the author of three books including Black Confederates and Afro-Yankees in Civil War Virginia (University Press of Virginia), named by Publisher's Weekly as one of 1995’s best nonfiction books. He has more than 60 essays and articles in books, historical journals, dictionaries, and encyclopedias including: The Encyclopedia of the United States in the Nineteenth Century; The Oxford Companion to American Military History; Virginia's Civil War; Virginia at War 1861, and, Virginia at War 1865. Professor Jordan was an advisor for The Library of Congress Civil War Desk Reference, the 2003 motion picture Gods & Generals, and the PBS documentary series The American Experience: Robert E. Lee. He serves on the Advisory Board of the National Civil War Chaplains’ Research Center and Museum, the Gettysburg Foundation Board of Directors, and is a former member of the Museum of the Confederacy’s Board of Trustees and the Virginia Sesquicentennial of the American Civil War Commission Advisory Council. He is currently a member of the President’s Commission on Slavery and the University of Virginia. During the 11th Annual Donning of the Kente Ceremony for graduating fourth-year students in May 2015, he was one of two faculty members who received special recognition by UVA’s Office of African-American Affairs for contributions and dedication to students. Jessica Lowe studies eighteenth and nineteenth century U.S. legal history, with a special interest in the history of the American South, and is an Associate Professor at the Law School. She is currently at work on a book entitled “Murder in the Shenandoah,” about a sensational 1791 murder that took place in Virginia’s Shenandoah Valley, and a second project exploring, in the context of the debates over slavery, references to morality and natural law in U.S. court decisions in the eighteenth and nineteenth centuries. She has held fellowships from, among others, the Andrew W. Mellon Foundation, the Princeton Center for Human Values, and most recently, the Center for Theological Inquiry in Princeton, NJ. She has a B.A. from the University of Virginia, a M.A. and Ph.D. from Princeton University, and a J.D. from Harvard Law School. Loren Moulds is the Digital Collections Librarian at the University of Virginia Law Library and a member of the General Faculty of the University. Loren leads the library's efforts to develop online research tools and to promote, create, and preserve its digital collections. He consults with the Nau Center on issues regarding the creation and preservation of digital archives projects, the Digital Humanities community and its relationship to History, and Digital History generally. He has served as the director of the Project for Technology in History Education at the University of Virginia's Corcoran Department of History, the technology coordinator for UVA's Digital Classroom Initiative, and project programmer for the Virginia Center for Digital History. He received his Ph.D. in History from the University of Virginia and B.A. from Kalamazoo College. Cynthia Nicoletti is a legal historian and a professor of law at Virginia Law. She has received numerous awards and fellowships, including the William Nelson Cromwell Prize for the best dissertation in legal history, American Society for Legal History, in 2011. Her work focuses on the legal history of the Civil War and Reconstruction. She has written several articles and essays on secession and emancipation and is currently completing a book, “The Fragility of Union: Secession in the Aftermath of the American Civil War, 1865-1869.” She holds a B.A., M.A, and Ph.D. from the University of Virginia and a J.D. from Harvard Law School. Barbra Mann Wall holds the Thomas A. Saunders III Professorship in Nursing at the University of Virginia School of Nursing. She is the Director of the Eleanor Crowder Bjoring Center for Nursing Historical Inquiry at UVA. Her research illustrates the gendered story of hospital establishments and the nursing profession. She has been funded by the NIH and private grants. She has written several articles on nursing in the Civil War and has written a chapter on women as nurses and providers of relief in the Civil War for an edited book entitled “A Feeling of Honorable Pride”: A Surgeon’s Experience of the American Civil War, edited by Robert Hicks of the College of Physicians of Philadelphia. Her newest book, Into Africa: A Transnational History of Catholic Missions and Social Change (Rutgers University Press, 2015), explores the intersection of religion, medicine, gender, race, and politics in sub-Saharan Africa after World War II. She holds a BSN from the University of Texas, an MS in Nursing from Texas Woman’s University, and a PhD in history from the University of Notre Dame. Prior to her arrival at the University of Virginia in 2015, she won the 2013 Lindback Award for Distinguished Teaching at the University of Pennsylvania.